Challenge: to produce a working bookmark suitable for a student to use. Background: Previously at Auroa Primary School in a post from last year the students had created a bookmark as part of the Y34/4 STEM program at Auroa Primary School, a link to the original post is here. This year the program was repeated, for an hour a week on Fridays and a group of students repeated the task. Task: For the students to design an original bookmark using Tinkercad and then print. The students are 8 and 9 year old students at school so this design was their first prints. Level of Difficulty: Low - however this group of students was young and it was their first. Issues: Once the students started adding detail to the base some of this detail was floating or did not fit well with the basic material - which caused some phantom air printing, resulted in failed prints. 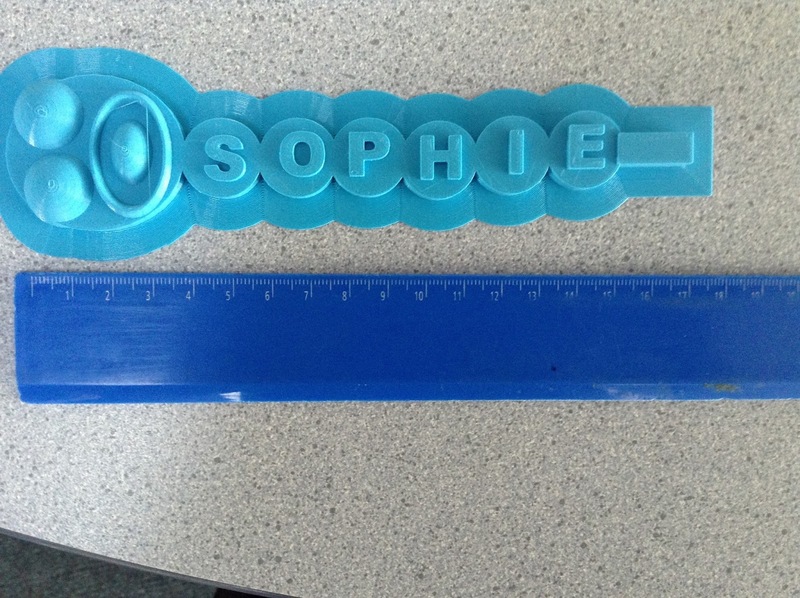 Size: the 'Sophie' bookmark featured here measured 17cm by 4cm with a 5mm base. 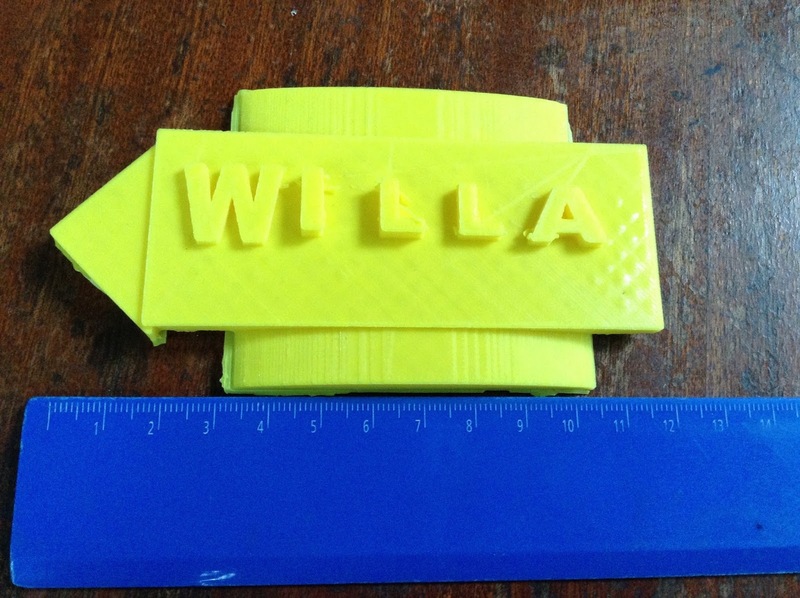 The 'Willa' bookmark was 12cm by 7cm with a depth of 5mm. Time fame: 'Sophie' was three hours and 'Willa' was four - however the first was printed on the Ultimaker 2+ and the latter on an Ultimaker 2 so some variation was expected. Process: The students designed the projects directly into Tinkercad which was then converted into Cura for the printing on the 3D printers. Reflection: As a short and practical introductory task for the students this allowed students to create their first projects. Refinement and reflection should allow for a degreeing of fine tuning to ensure that the finish project meets the brief.